AS THE country's primary form of public transport, the local minibus taxi industry is a prolific cog in the local economy. However, the industry is also one of the biggest business sectors in the country, generating an estimated R50 billion* in annual revenues. “It is therefore a significant sector for job creation and the life-blood of thousands of South Africans,” explains Maroba Maduma, Communications Executive at SA Taxi, the country’s independent financier of minibus taxis and one of the country’s few certified developmental credit providers. Given its prominent role in the industry, SA Taxi aims to leverage the company’s vertically integrated platform and proprietary technology capabilities to broaden inclusivity and create shared value opportunities to ensure the sustainability of the sector. “Central to this ethos is the empowerment of small-to-medium-sized enterprises (SMEs), especially those run by female entrepreneurs,” continues Maduma. Through its focused initiatives, SA Taxi has invested R3.5 billion into empowering female entrepreneurs in the minibus taxi industry since 2008. 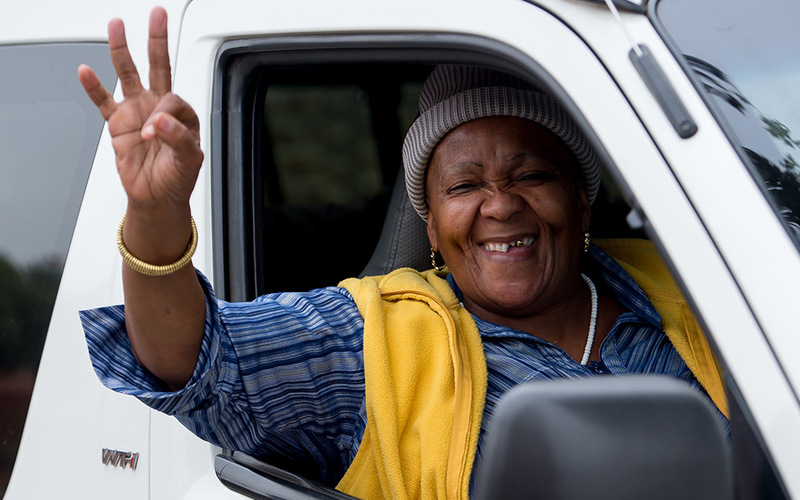 During this period SA Taxi has increased its female client base by an average of 4.5% per annum, helping to create 8,473 female-owned SMEs and financing 12,092 vehicles – an average of 1.4 vehicles per owner. “We currently have R1,9 billion invested with 4,382 female taxi owners, who collectively operate 5,656 SA Taxi-financed vehicles,” explains Maduma. However, it’s not just the female business owners who benefit, as each taxi in the minibus taxi industry creates 1.8 direct jobs. “This equates to 21,766 jobs created since 2008 by our female entrepreneurs, with 10,180 direct jobs currently sustained in the sector by SA Taxi-funded female entrepreneurs,” she adds. While the impact that SA Taxi-backed female entrepreneurs are having on the industry in particular and the economy in general is prolific, Maduma believes more must be done to uplift and empower female inclusion in the industry. “Based on industry estimates**, our female clients own just 2,8% of the minibus taxis that operate on our roads each day. This leaves significant scope for growth, which is why we would like to use Women’s month to highlight the opportunities that exist in this sector for female entrepreneurs. Through our relentless efforts, we hope to significantly increase the presence of women in this industry, and in so doing continue to uplift the communities they support,” concludes Maduma. Female entrepreneurs who are interested in exploring opportunities in the minibus taxi industry should visit www.sataxi.co.za for more information. *Estimated figure provided by Transaction Capital, a JSE-listed company, which provides a range of financial and other services to the South African taxi industry, in its 2017 results presentation. **According to estimates provided by Transaction Capital in its 2017 results presentation, there are an estimated 200,000 taxis currently operating across South Africa.